The Egyptian professional footballer Mohamed Salah currently plays for the Egyptian national team Premier League club Liverpool as a forward. He started his football career professionally in 2010 playing for local youth club EI Mokawloon. Salah made his International debut in September 2011 for Egypt national football team and scored his first international goal for Egypt’s first team in the 3–0 victory against Niger. In January 2014, Salah became the first ever Egyptian player to play with the English Premier League club, Chelsea. After playing in a number of big tournaments like the 2011 FIFA U-20 World Cup, the 2012 Summer Olympics, and 2017 CAF Cup of Nations, he finally made a place in the national team becoming the top scorer of FIFA World Cup qualifications. The attacker also became UEFA Golden Boy and CAF’s Most Promising Talent in 2012. Mohamed Salah was born on June 15, 1992, in Nagri, Gharbia, Egypt. He belongs to an average middle-class family. He is Egyptian as per nationality and is Arabic by ethnicity. The World Cup qualifier, Salah, was highly interested in playing football since his childhood days as he even used to watch football on TV when he wasn’t playing. Salah started his football career playing with a local youth club El Mokawloon in Cairo. The club was far away from his hometown but he never gave up and his passion towards game kept focused him. At the age of 18, he made his senior team debut playing in a 1–1 away draw against El Mansoura as a substitute. Salah mostly improved his game playing as a substitute player during his early career and then began playing as a regular forward. In early February 2012, due to the Port Said Stadium disaster, The Egyptian Premier League stopped and all subsequent matches were postponed. Following the Port Said Stadium disaster, Swiss Super League club Basel organized a friendly match with the Egypt U-23 team. Despite only playing during the second half, he scored twice in the second half in a 4-3 win for Egypt U-23 team. 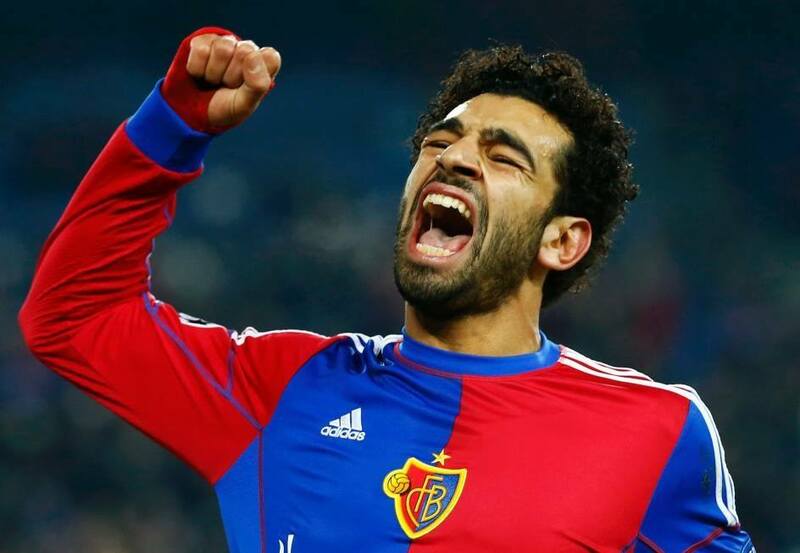 Following his outstanding performance in the friendly game, Salah signed a four-year deal with Basel, on April 10, 2012. He made his official Basel debut playing against the Norwegian club Molde in a UEFA Champion League preliminary stage match, on 8 August. Mohamed Salah is a former Basel’s team member. Salah ended up his first season with Basel scoring 10 goals in 50 games throughout the season. On 6 August 2013, he scored his first Champion League goal against Maccabi Tel Aviv. He finished Basel career winning two titles. At the beginning of 2014, Salah transferred to the professional football club Chelsea becoming the first Egyptian international to sign for English Premier League club, Chelsea. In January 2014, he completed a £11 million move to Chelsea from Basel. 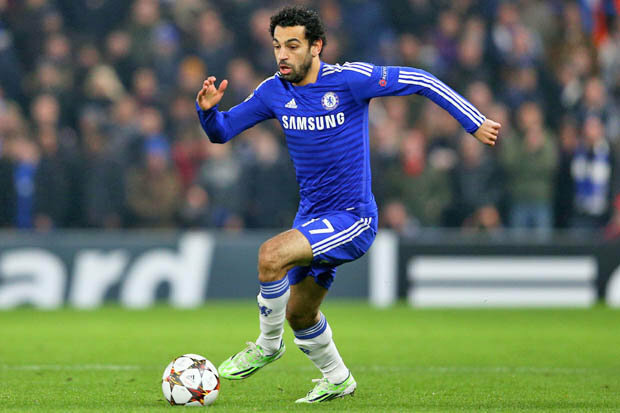 Mohamed Salah joined Chelsea On 23 January 2014. Salah scored his first Premier League goal in a 4-0 win against Arsenal in a derby at Stamford Bridge. He finished the 2013-14 season scoring twice goals in 11 matches in all competitions for Chelsea. After winning the Premier Title with the Blues, he was sent on a loan to Fiorentina. As the part of the loan deal, Salah joined the Seria A side while Fiorentina sent Juan Cuadrado to Chelsea. The deal was valid until the end of 2015-16 season. He scored his first goal for Fiorentina against Sassuolo, on 14th February. Mohamed Salah is an Egyptian Footballer. At first, Fiorentina agreed with Salah to make the move permanent but he denied the deal at the end of the season. And he even did not complete his 18-month loan agreement and instead transferred to Roma. For Fiorentina, he scored 7 goals and 4 assists in 18 matches in all over the 2014-15 season. After turning down the chance to complete a permanent move to his former club Fiorentina, Salah joined the Italian football club Roma, on 6th August 2015. He made an agreement with the club on a season-long loan for $6,176,750. Salah scored his first hat-trick for Roma in a 3-0 victory against Bologna, on 6th November. At the end of the season, he also became Player of the Season, finishing as the club’s top goalscorer with 15 goals throughout the competitions. Following his magnificent performance with his Roma, Salah made his transfer to his current club Liverpool on June 22, 2017. Liverpool signed him for a reported fee of €42m which could rise up to €50m, a record fee for the club. Mohamed Salah currently plays as a forward for Liverpool. Salah scored four goals in a 5–0 win against Watford, on March 17, 2018, which was also his first hat-trick for the club. Having represented his country at U20 and U23 level, the footballer made his full international debut when he was just 19. Salah made his debut for the Egypt national team on September 3, 2011, against Sierra Leone. Mohamed Salah made his international debut at the age of 19. In October of the same year, he scored his first international goal for his national team in a 3–0 win over Niger. And his first international hat-trick came on June 9, 2013, playing in a 4–2 away win against Zimbabwe. 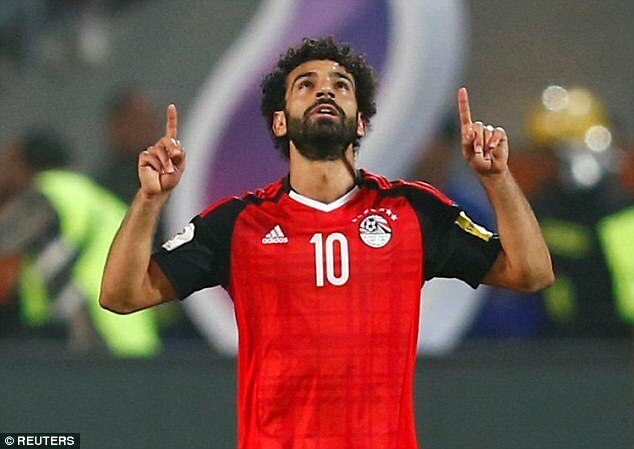 Salah also became the top scorer for Egypt as he scored five goals during the 2017 Africa Cup of Nations which was held in Gabon. Salah stands at the height of 5’7″ (1.75m). Mohamed Salah’s estimated net worth as of March 2018 is around $2.25 million. During his football career with Florentina, he used to receive an annual salary of $3 million. In January 2014, Salah signed a contract with Chelsea for a reported transfer fee of £11 million. Salah made an agreement with the professional Italian football club Roma on a season-long loan for $6,176,750, on August 6, 2015, with the option of buying Salah permanently for a reported fee of $18,496,650. After an impressive performance in Italian clubs and for Chelsea, he went on to sign a long-term contract with his current club Liverpool for a reported fee of €42m which will increase up to €50m. with his current club, Liverpool. 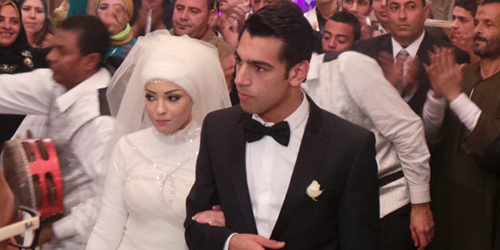 Mohammed Salah married his girlfriend Maggi Salah in 2013. The couple welcomed their first child, a daughter named Makka Salah in 2014. Salah and his wife Maggi are living happily together for around a half-decade with no rumors of divorce and extra affairs. Mohamed Salah and his wife Makka. Salah is a devout Muslim who performs the sujood after every goal. His fans and supporters have also given him nicknames Egyptian Messi and Egyptian King. Besides, Salah is also quite popular on social media like Instagram with 8.8 million followers and Twitter with over 4.5 million followers. He also likes cycling.